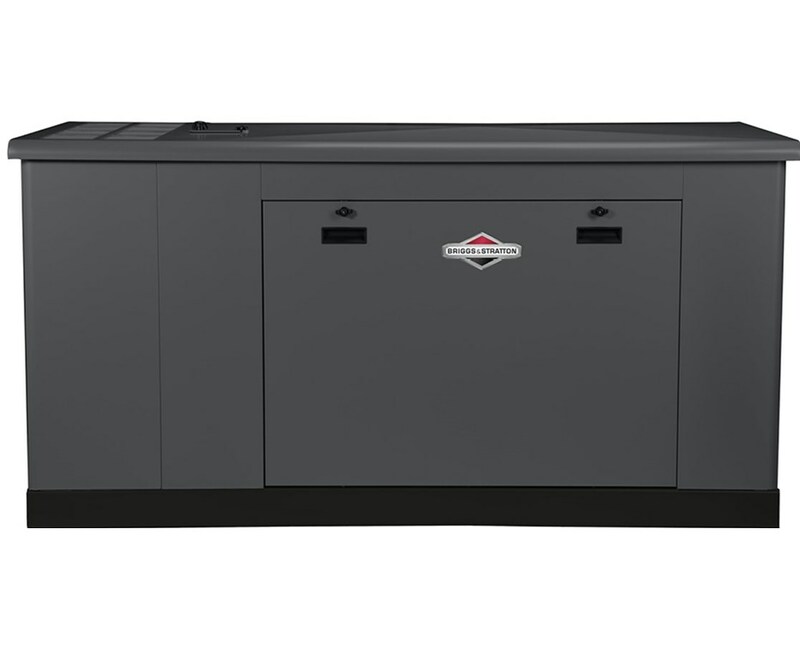 Equipped with the Symphony II Power Management technology, the Briggs & Stratton Single-Phase 35kW Standby Generator System is designed to handle all of the power needs of extra-large sized homes and even small businesses. With its commercial-grade GM Vortec 1,800 RPM engine, it offers quieter and budget-friendly operation. When using liquid propane, it has a fuel consumption of 3.1 gal/hr and 282 ft³/hr using natural gas both at 50% load. The Briggs & Stratton Single-Phase 35kW Standby Generator System is fully automatic and powers up seconds after sensing power outage. With running watts of 32,000 (NG) and 35,000 (LP), It is capable of running appliances such as refrigerator, stove, computer, washer and dryer, television, water heater and many more. It uses 120/240V AC, Single Phase, 1.0 pf voltage and 133 (NG) and 146 (LP) running amps. Its control panel features diagnostic alerts with remote system status and an hour meter. 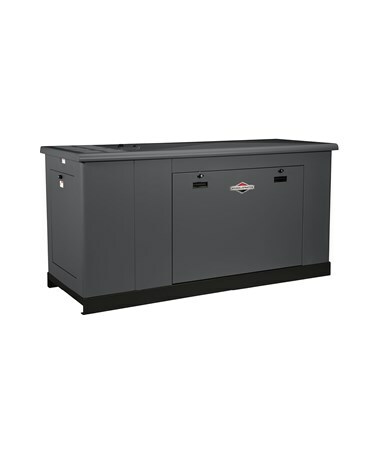 Made of durable aluminum enclosure, the Briggs & Stratton Single-Phase 35 kW Standby Generator comes with an InteliLite controller that offers a plug-in and CAN bus extension module capability, as well as fuel theft protection and total fuel consumption monitoring. 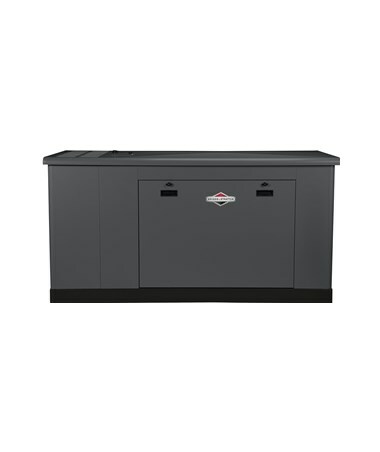 This generator is rust resistant with a powder-coat paint finish and can withstand extreme weather conditions. It is listed and rated by cUL 2200 and is compliant to CSA standards.